VPS hosting is for those who require a ton of computing power, storage, and bandwidth at a reasonable monthly price. If you're specifically seeking SSD VPS hosting, you recognize the value in solid-state drives (SSDs) for maximum performance. We've tested services with the top VPS hosts — for Windows, Linux, cloud hosting, and more — and have narrowed the list down to the very best in performance web hosting. You'll find 2019's best SSD VPS plans below. Ready to see what these SSD servers are made of? After thoroughly reviewing the best VPS and cloud hosting providers, we condensed our findings into a summary table for VPS SSD hosting. Before making a decision, consider uptime, storage, bandwidth, and operating system choices, as well as our expert ratings. Looking for something other than ssd vps hosting? Got your sights set on speed, agility, and the max performance storage can offer? Let's talk SSDs. If you’re ponying up the extra dough for VPS hosting, make sure you’re getting what you pay for. The other day, Team HostingAdvice was talking about hosting infrastructure — doesn’t everybody? — and we were surprised at how many VPS offerings didn’t include the higher-performance solid-state hard drives. We just assumed that as you rise through the hosting ranks, so does the quality of the architecture. Turns out, not every hosting company makes the added investment into specialized virtualized private servers. Just as with any hosting, from generic shared plans to luxurious, fully managed WordPress, a quality provider can make a world of difference. Fortunately, some of our longtime favorite hosts understand the value of devoting extra resources to making sure their higher-tier customers, websites, and applications, are running at peak efficiency. It looks like alphabet soup, but VPS SSD hosting just strings together two acronyms that are pretty common in the hosting realm. VPS stands for virtualized private server, which entails dividing a physical server into different partitions or slices. Each slice can be configured to run different operating systems or software programs to customize the environment to the customer’s specific needs. In a way, a VPS plan is a combination of shared and dedicated hosting — you’re sharing a server with a handful of other clients while still enjoying the extra oomph of dedicated resources. SSDs, or solid-state drives, are a faster, more modern version of the traditional hard-disk drive. Instead of a spinning disc, SSDs store information on flash memory chips. Fewer moving pieces mean much higher performance and reliability. SSDs gained traction in the late 2000s, making them quite a bit more expensive and not quite as large, capacity-wise, as traditional hard drives. The lightning-quick time to transfer files and run applications, however, make SSDs particularly relevant in the web hosting world, where milliseconds matter. Cloud VPS adds another perk to our collection of hosting vocabulary. Instead of relying on a physical server to house a certain, limited number of virtualized environments, cloud hosting connects massive networks of hardware to add seemingly unlimited resources for availability and scalability. In addition to splurging on SSDs, top-notch providers like InMotion Hosting offer customers a highly redundant cloud network boasting virtually no downtime. With server management included for free, InMotion’s team of experts will update and patch things from cPanel licenses to operating system security layers. We also love that InMotion gives new customers two hours of dedicated time with a Tier III system administrator for help with website migrations, security setups, application installations, and automation configurations. While several budget-minded hosts sneak watered-down hosting plans and infrastructure past the legions of non-technical website owners, our friends at A2 Hosting provide well-rounded plans full of features and options for a hardly believable price of $5 per month. Long known for its high-speed Turbo Servers, A2 boasts 20x faster performance and three levels of VPS hosting plans: an unmanaged plan gives experienced developers root access and ultimate control, while two managed plans include the user-friendly HostGuard management platform. Add in A2’s anytime money-back guarantee and 24/7/365 Guru Support, and you’ll surely be impressed with A2’s price-to-power ratio. For those looking for five-star treatment, look no further than Liquid Web. Managed services can mean wildly different things to various hosting companies. Instead of doing the minimum to keep the lights on, Liquid Web’s experts cover the wide range of complicated platforms and regulations with their managed services, including WordPress, HIPAA and PCI compliance, cloud, and hybrid plans. Thanks to Liquid Web’s expertise, the company’s managed infrastructure and SSD servers outperform AWS, Rackspace, and Digital Ocean. By handling software updates, security patches, and other issues within your hosting environment, Liquid Web empowers customers to focus on their website and business instead of IT hassles. Users will select a particular operating system based on their previous experience, along with the requirements and languages of their application. Mosts hosts and clients opt to go with Linux-based operating systems, including CentOS, Fedora, or Ubuntu, but those running ASP.NET or Visual Basic programs will definitely want to stick with a Windows virtual server plan. In addition to the standard CentOS, Debian, and Fedora systems, Liquid Web can provision a VPS running Windows Server 2012 or 2016 in just an hour or two. The hosting company goes beyond slapping an operating system on a partition by offering around-the-clock monitoring and a 100% uptime guarantee. Windows lovers will appreciate Liquid Web’s several integrations, including scalable Microsoft SQL Database-as-a-Service packages and managed Active Directory installations. We also appreciate the luxury host adds Cloudflare CDN, enhanced security, DDoS protection, and built-in backups. InMotion Hosting maximizes its SSD VPS infrastructure by offering CentOS 6 in a LAMP stack, the environment of choice for many website and application developers. That means your hosting environment will be ready to go with tried-and-true versions of Apache, MySQL, and PHP. If you’d like to test InMotion’s Linux offerings against other providers, we’ve compared the top Linux VPS hosts. Users can remotely access their infrastructure through secured shell, or SSH, or use the included graphic interface of cPanel. In addition to offering customers a choice between datacenters on the East or West coasts, InMotion consistently receives high marks for customer satisfaction behind 99.99% uptime and 90-day money-back guarantees and 24/7/365 knowledgeable support. As with operating systems, hosting customers can be quite picky about which control panel they use to manage their hosting account and infrastructure. Plesk and cPanel are industry leaders and quite similar. Minor differences in user interface aside, the price, supported operating systems, and administrative panels options can make or break a user’s hosting experience. 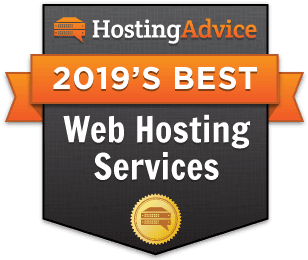 To compare other hosts that specialize in cPanel, we’ve compiled a list of our favorite providers at all levels of hosting. Known for superb customer support and ultra-accessible shared hosting and WordPress plans, Bluehost offers SSDs as part of its VPS hosting platform, giving customers room to grow. Users might be somewhat limited on the number of cores or amount of storage they can use, but seamless migrations and instant provisioning are big-time perks. Bluehost created a custom management interface on top of cPanel, giving customers all the familiar tools of the administrative interface in addition to extra programs to further simplify website, server, email, and billing management in one easy-to-use dashboard. The price tag scares many inexperienced site owners away, but Media Temple is a standard-bearer when it comes to high-octane SSD infrastructure and luxurious, white-glove managed services. The company offers a rare 99.999% uptime guarantee and will reimburse customers 20% of their hosting fees for every 20 minutes of downtime. Media Temple capitalizes on the Plesk platform’s flexibility by offering the control panel on two flavors of CentOS. Plesk Onyx comes with GitHub, Docker, and Node.JS support, as well as an improved log browser and tools for monitoring resource usage and updating the operating system. If Plesk turns out to not be the option for you, Media Temple is a rare host that offers both cPanel and Plesk control panels. Now that you’ve gotten the rundown of the perks of VPS hosting on SSDs, it’s time to move into the fast lane. Most hosting providers’ server configurations squeeze out 20x faster performance with the specialized hard drives, making the plans we’ve listed above a valuable investment. Add in the managed services, operating system, or control panel of your choosing, and your website or application is ready to blow people away. Still not sure about SSDs? Take a look at our rankings of the top VPS hosts in general — you’ll notice many of our favorite hosts mentioned here rank at the top of that list, as well.